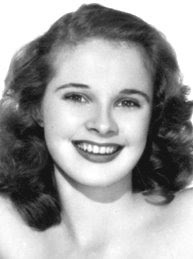 On the Podcast this week, from a January 4th, 1952 NBC Radio Broadcast of The Dean Martin and Jerry Lewis Show, the boys welcome diminutive blond model and actress Mona Freeman to the program. Dino sings Meandering and Never Before and he reminisces with I'll String Along With You. This program was licensed by ASCAP and BMI. The old time radio program presented is a work in the Public Domain. The special offers listed in the episode are no longer valid. I received an email this morning from Megg, who listens to the show. She's a Zune user, and couldn't find us in Zune Marketplace to resubscribe after formatting her computer and Zune. Unfortunately, since there isn't Zune software for my Mac, I'm not able to list the show in Marketplace, but the subscription button above ought to work. I've also placed the link at the top of the page along with the RSS feed, iTunes and iPhone links. Please let me know if you have any difficulty with any of the links. 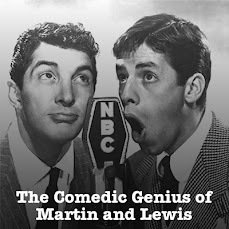 I just ran across a treasure trove of information on the Web about one of my favorite subjects: classic films. Christian Hayes writes The Classic Film Show, a relatively new guide to cinema (he's been publishing it since April of this year) including news, articles, commentary, recommendations and book reviews about classic movies. Christian is a London-based writer, film historian and filmmaker with particular interest in silent and Classical Hollywood Cinema. 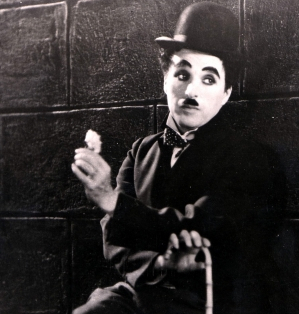 He has written for the British Film Institute and has a forthcoming chapter in a new book about Chaplin as well. It's obvious that he is passionate about his subject and that he has studied it well. He posted a very nice article about this Podcast, and I was delighted with his site after poking around a bit. If you're a fan of old movies, I think you'll enjoy it too.